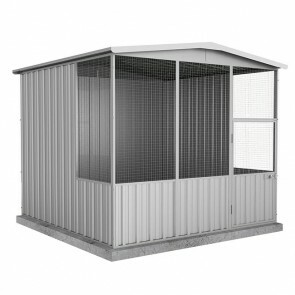 Grab a great deal on a large chicken coop available online throughout Australia! 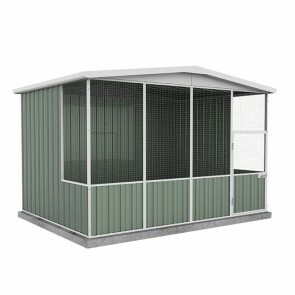 Whether you are purchasing a large aviary for birds of any size, as well as reptiles or rodents, there are solutions available to you that may meet your requirements. Each large bird aviary for sale comes with a 30 year written warranty and is available in 2 colours - Zincalume and Pale Eucalypt. 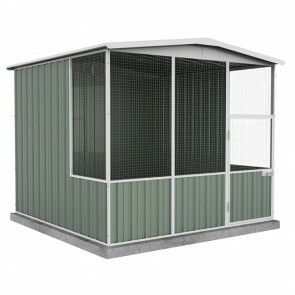 Large aviaries come flat packed and require assembly. Do it yourself, or hire a local handy man instead. 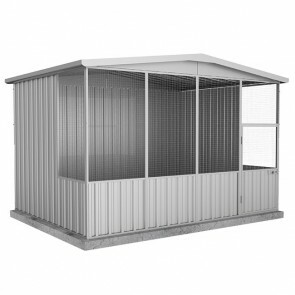 Find a range of large bird aviaries and cages for sale below.